Micro-Perforated bread bags are the ideal choice for artisan breads. Our affordable bread bags are the ideal choice for bakeries that want to showcase their fresh breads and sell them to customers. At ClearBags, we have both basic clear bread bags and bags that can be customized with your logo. The perforated design of these bags also makes them a great choice for produce. 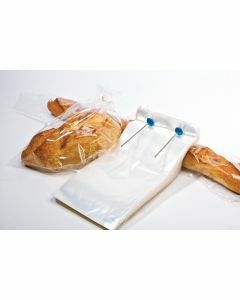 If you are in need of any type of bread packaging, check out our bread bag options below.